Bicycling is an activity that continues to increase in popularity. More people are cycling for fun, exercise, sport, and using it as a means of transportation. However, this increase in cyclists sharing the road with motor vehicles has caused an increase in bicyclist injuries. It is estimated that the number of bicyclist injured rose to 49,000 in 2012, which was an increase of about 1,000 from 2011. Here are a few of the statistics regarding bicycle injuries. There are many causes of bicycle accidents. When children are involved in a bicycle accident, the cause is usually the child doing tricks or losing control. However, for teen and adult cyclists, the accident typically involves a motor vehicle. Here are some of the common causes of a collision between a bicycle and motor vehicle. The NHTSA has set forth guidelines for states in order to make cycling on the roads safer. Their program encourages safety education for both cyclists and drivers, and includes helmet education and roadway improvements, as well as educating drivers on how to “share the road”. 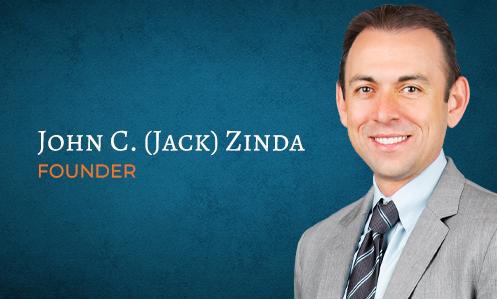 If you or someone you know has been injured in a bicycle collision with a car, let the experienced bicycle accident attorneys at Zinda Law Group help. Our Personal Injury lawyers are knowledgeable and caring, and will work tirelessly for you and your case. Call us at (800) 863-5312. No Recovery. No Fees.